Home / Projects / Sderot, Israel Under Attack! 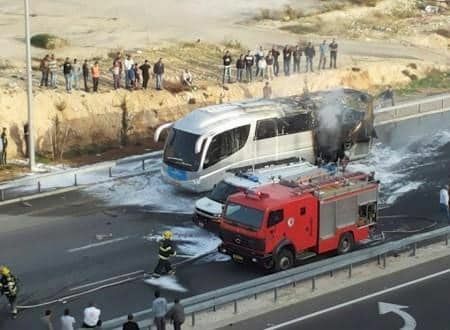 After days of being attacked with more than 300 rockets on Sderot and surrounding communities, after direct hits on our businesses, homes, buses, after days of once again, living in bomb shelters, yes there is a “ceasefire” with Hamas. Defense Minister, Avigdor Lieberman, resigned over this ceasefire. Mr. Lieberman was one of the only Ministers to visit Sderot in the past 6 months of violence. We have suffered at the hands of Hamas for 12 years in Sderot, these past 6 months especially harsh. 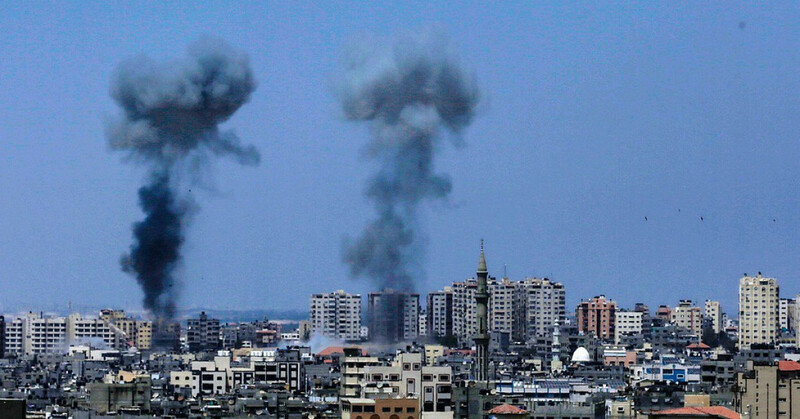 A ceasefire to Hamas is to regroup and rearm and hit us harder in a matter of weeks. This is the 12th ceasefire in the past 6 months. With every wave our food, water and medical supplies are depleted as thousands live in bomb shelters for days. In the past 3 days, chabad has supplied 24,000 bottles of water, 2800 meals, 2000 packages of diapers and 700 cartons of baby food. In addition, 5500 Chayalim are stationed on our borders and we serve hundreds of hot meals per week to those in need of a rest from the border. We must restock and be prepared. We care for the sick, elderly, frail and babies. Chabad Sderot has been on the front line for 25 years caring for the citizens of Sderot regardless of ethnicity or religious affiliation and has been recognized as a humanitarian organization. Sderot is at war and we need your help NOW! PLEASE SHARE THIS ON YOUR SOCIAL MEDIA AND WITH ANYONE YOU KNOW! WE NEED HELP! SDEROT HAS TAKEN DIRECT HITS TODAY! We are under attack as I write this. Please help us help the people of Sderot. 90 rockets fall in Sderot, direct hits to buildings, homes, buses. 4 people in critical condition, Thousands suffering from shock including HUNDREDS of children in shock,. We are living in bomb shelters once again. Hamas will not stop. We have been living with their “peace fires for the past 6 months”. We are in desperate need of food, water, and medical supplies for our people. Chabad Sderot has been on the front lines. We are not politicians or military experts. We have a job to do and it is providing for the sick, elderly, frail, and children. If you scroll down you will see what we have been going through since last March. Our shelters and store house are depleted. Chabad Sderot is providing food, water, medical supplies, transportation and other essential needs to the sick, elderly, and children. WE NEED YOU NOW! WE ARE AT WAR! 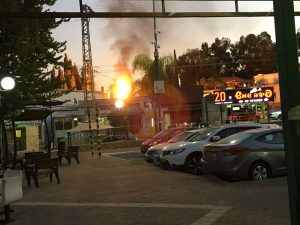 Sderot, Israel has been experiencing one emergency after another. From rockets being fired out of Gaza to an unexpected rainstorm that caused intense flooding, the people of Sderot are suffering. Chabad of Sderot has jumped in to help with supplies for the IDF soldiers as well as those in shelters and those affected by the floods. But they need your help to continue supporting these victims! Below you will see updates of the latest attacks and troubles facing the people of Sderot. We needed to be prepared ALWAYS. Temporary cease fires are just that, temporary, and they are initiated by Hammas so that they can regroup. 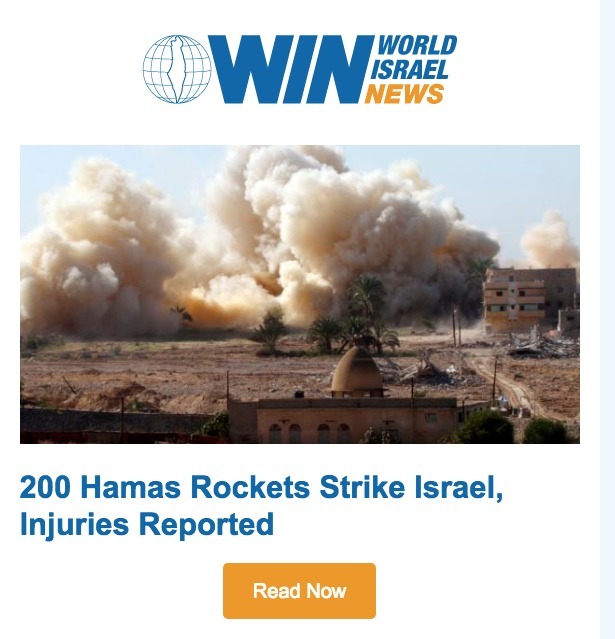 June 20, 2018 Update: KASSAM rockets are being fired at Sderot and southern Israel. Last night 45 rockets were fired and from 1:45 am until dawn Sderot residents hid in bomb shelters. Pictured below is a police officer handling a mortar shell near a nursery school (Photo courtesy of Eshkol Security) and a home that took a direct hit from rocket fragments. June 17, 2018 Update: Incendiary kites caused fires in Sderot (Sapir College fires pictured below) and surrounding areas once again this Shabbat. Chabad: With gratitude to Hashem, we were able to get back to our “normal” routine and delivered 347 Shabbat packages. Chabad works year round in hunger relief and as a safety net for hundreds of families. Low income families can not survive without one of the many amazing organizations in Israel. We try to do our part and it is only with your help that we succeed. For our work we were recognized by the Prime Minister (pictured below). Chabad: During our 2 days of flooding, Chabad assisted 273 families bringing food, water, and critical supplies. Each package contained, canned fruits and vegetables, canned tuna, 8 liters of water, a flashlight with batteries, toilet paper, sanitary products and medical supplies as was needed. Support Chabad’s Tireless Efforts to Ease the Suffering of Sderot! June 14, 2018 Update: We are thankful for the relative quiet on our border. Unfortunately, this quiet in violence does not mean quiet for us in Sderot. Chabad: We, in Sderot, are in a constant state of vigilance. Our children live in constant anxiety and we are doing our best to get them away to a safe and happy environment. History of the past 10 years has shown us that Hamas regroups during these times. We must be vigilant and take care of those who can not take care of themselves. May 28, 2018 Update: IDF official statement, “Southern residents must prepare bomb shelters now”. As each hour passes Chabad is hard at work making sure shelters are stocked with food, water, blankets, and activities for children. There is a critical need for air conditioners in many shelters. We also need to relocate our summer camp to get the children away from the trauma. But we cannot do this without your support! Sderot, a low-income city just 1 kilometer from the Gaza border, and acts as a buffer between Gaza and the rest of Israel. As the closest city to Gaza it is crucial to the security of Israel on its southern border. The people of Sderot are a constant target, living in fear of rockets and mortars, running to shelters every time the sirens sound, at all hours of the day and night. The IDF and Israeli government work hard to protect them, but they can only do so much. Many residents of Sderot (40% of them children!) already suffer from anxiety and PTSD from past conflicts. Many victims of this constant terror are unable to return to work, affecting their livelihoods and local businesses. Businesses are having to close. Children are once again living in fear and terror. Chabad of Sderot has been on the front lines for 25 years. Our programs support IDF soldiers, the elderly, children, and the needy. 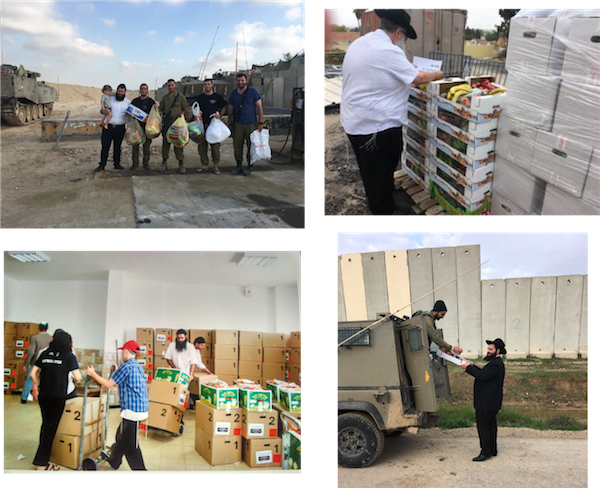 We provide services and supplies to IDF soldiers, daily hot meals, weekly food packages, medication, after school children’s programs, summer camps and trips and much much more. Your support will contribute to this aid and so much more than words can ever describe! “Do you know how long it took me to stop being afraid of a kettle whistle? Years, years. I remember the first scene of casualties in Sderot, I was there. On uniform. Three whistles and then booms that come as if the sky were being torn, but what was really torn were the internal organs of 50-year-old Mordechai Yosefov, who was killed on the spot, and the hip artery of Afik Zahavi Ohayon, an only child at the age of 3 who died at the entrance to his kindergarten, right next to his severely-wounded mother. He died right in my arms and those of another fellow who was trying to give him first aid. To this day, I recoil for a moment when I hear the ‘crackle’ of a megaphone operating, because that’s how the red alert starts. I taught children at risk, those with the usual issues of a problematic family, social difficulties, it is not easy to be a child anywhere. But in Sderot? I raised children who would hear red alerts and freeze, children who hear the red alert and pee in their pants, children who hear red and go into a powerful, crazy panic attack. Do you have any idea what it does to a child’s mind and self esteem, to lose control in front of other people? What does it do to his parents? SDEROT IS UNDER ATTACK AGAIN!!!! LIFE IS A LIVING NIGHTMARE!!!!! SDEROT IS 400 METERS FROM THE GAZA BORDER AND THE BUFFER BETWEEN GAZA AND THE REST OF SOUTHERN ISRAEL! 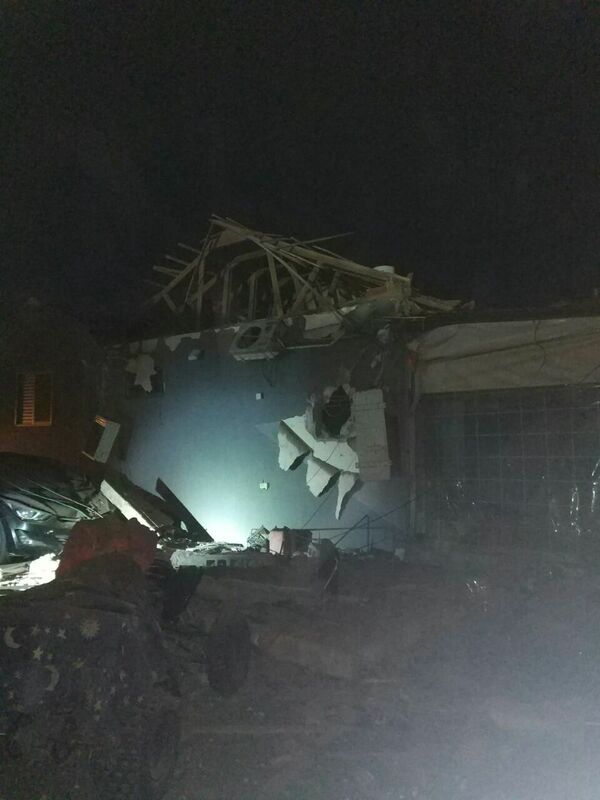 Hundreds of rockets and mortars land in Sderot with direct hits even as far as Beer Sheva! 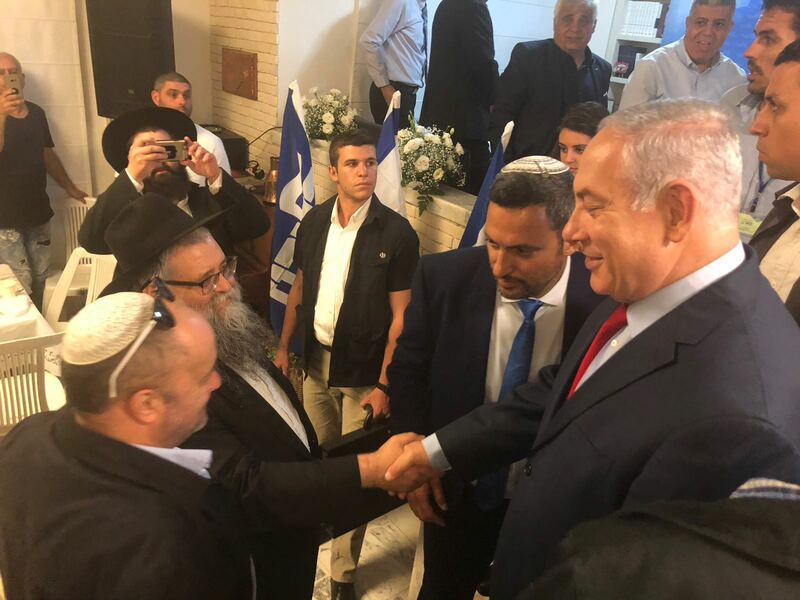 While the emergency cabinet convenes, once again, to find a solution and promises a swift response, Sderot residents are once again living in bomb shelters! While Politicians debate, Sderot suffers as it has for 12 years! Chabad of Sderot has a job to do and it is to help the residents of Sderot. Hundreds of bomb shelters are DEPLETED OF FOOD AND WATER AND MEDICAL SUPPLIES!!!! WE HAVE OLD, SICK, AND FRAIL RESIDENTS WHO NEED US NOW!! !We have been caring for the people of Sderot for 25 years. we are non political and turn away NO ONE. Sderot has been hit hard this week. Our bomb shelter supplies are depleted. We need your help NOW. As the High Holidays approach, Chabad Sderot is preparing on multiple fronts. As in every year, we will be providing food and supplies to more than 500 low income families in ADDITION to the 300 families served WEEKLY, year round. In years of conflict, it is even more difficult as many working families have lost part of their income over the past 3 months and need supplemental assistance. In addition, Chabad Sderot will host more than 500 Chayalim during the Holidays of Rosh Hashana, Yom Kippur, and Succot. We ask you for your assistance. Rockets continue to fall on our beloved Sderot. Most of Sderot Residents spent the night in bomb shelters as Code Red sirens continue to wail. We are living in a war zone. Our volunteers have been going from shelter to shelter supplying critical food and water and medical supplies. All activities have been shut down by the army. WE ARE SHELTERED AS ANOTHER ROUND FALLS ON SDEROT. AS WE HAVE WARNED FOR THE PAST 3 MONTHS, HAMAS DOES NOT MAKE PEACE! THEY REGROUP! WE ARE UNDER ATTACK AS OF THIS WRITING SHELTERED IN BOMB SHELTERS. SDEROT HIT BY A BARRAGE OF 36 ROCKETS!!! UNDER FULL ATTACK BY GAZA!!!!!!!! SCRAMBLING FOR BOMB SHELTERS. THE CITY OF SDEROT IS IN TOTAL DARKNESS! This is the worst attack 5 years. We have been preparing for this. We will be in critical need of food, water, and medical supplies for the bomb shelters as they will be depleted. Post From Sderot on Living Under Constant AttackWE HAVE BEEN WARNING ABOUT THIS FOR MONTHS. WE NEED YOU NOW!!!!!!! OUR SHELTERS WILL BE DEPLETED WITHIN HOURS!!! WIDESPREAD DESTRUCTION! ENTIRE CITY UNDER CODE RED ALERT AND IN SHELTERS. Hamas leaders are forcibly leading us into a situation where we will have no choice, a situation in which we will have to embark on a painful, wide-scale military operation,” Liberman said as he visited the southern city of Sderot. Chabad Sderot has been campaigning for your help for 2 months. WE HAVE LIVED THIS FOR 15 YEARS AND WE KNEW WHAT WAS COMING. Please visit our Facebook and website. Although it is in Hebrew, pictures and videos will tell you more of our story. 100% of funds will be used for the residents and soldiers of Sderot. All donations are tax deductible. "On behalf of Cameron who needs Refruah. We pray that it comes fully and swiftly for both he and his family"
"My heart and prayers are with our beloved sisters, brothers and children of Sderot. May Hash-m keep you safe always in His Outstretched Arms. Please G-d may we have peace in Jerusalem, Israel and amongst all Humankind. Amain Am Israel Chai Eternally"
"May we partner Hashem to bring lovingkindness & peace into the world." "Hashem strengthen humanity to be instruments of Peace." "We will always stand with Israel"
"Nous prions pour que ces attaques cessent. hakadosh Baroukh Hou viens en aide à l'armée pour démanteler et anéantir ces réseaux de terreurs"
"Hi, I hope our small contribution will be a blessing to the Jewish people ! We are praying for the peace of Jerusalem! God bless Israel! 1000% supporters of Israel! Lolly Mukose Kazadi and Neo Brenda Phele." "JUST WANT TO HELP, WANT NO RECOGNITION. I HOPE AN PRAY FOR ALL PEOPLE OF ISRAEL ARE SAFE FROM HARM." "In honor of my father, Hyman Weiser"
"Stay safe. We are with you!" "In Memory of Marvin Wolowitz"
"To alleviate the children's anxiety and suffering." "God save and bless the people in Sderot and Israel!" "May God bless you and protect you!!" "Stay strong. We support you." "May Hashem bless all of humanity with peace, safety & lovingkindness." "G/d Bless Israel. Ireland Loves you!" "In memory of my parents Sadie and Leonard Trimpol"
"In honor of the residents of Sderot"
"B’bracha, B’Shalom.. Mashiach Now, B’Rachamim!!" "God bless all the Israelies and protect the IDF and all Am Israel"
"never give up i stand with you forever"
"Feeling love, devotion, care, concern, called to advocate for Israel, prayerful, wishing I were younger or a doctor or nurse!!" "A gift of comfort, from the father of a Canadian Lone Soldier who has served B'nai Israel." "may the residents of Sderot have peace speedily"
"In honor of our children who made aliyah this past July." "In honor of Sarah Eisenstein"
"We are with you !" "In memory of wonderful cousin-Herb Sollod"
"My prayers are with you. My our Almighty Creator protect Israel and you." "dedicate to the memory of Benjamin berman"
"I speak my 100% support for Israel with action." "Stay Strong? America loves you"
"In honor of my mother Bluma bat Benjamin"
"In my prayers and tehillim." "In memory of Egon Berish Lehr"
"Defending Israel and its survival. The only Country of the area that makes the desert flower." "May Hashem protect the people of Sderot and all Israel"
"We were just in Sderot a few days ago and can understand the terror the beautiful people there must feel. May Hashem protect them and make it safe for them to live there." "May GD bless all of you. In memory of my sister, Sylvia Rothschild." "In memory of Wilbur Jones of blessed memory"
"Thank you for the opportunity to help our brothers and sisters on the front line." "Dear residents of Sderot, we pray for your safety and security. Our thoughts are with you from the States." "IN MEMORY OF MY BELOD PARENTS ETELA BAT DAVID & AVROM BEN SHOLOM"
"Hashem helps us be instruments of peace, chesed & lovingkindness. Also May Michoel Yitchak Ben Feiga, Devorah bat Michal, Zwe Yosef ben Shaindel & all who need be blessed with a Refuah Shleimah." "We must stand strong with Israel and Jews everywhere!" "You are not alone. I wish that you receive as much help as possible"
SAEIDEH FARAH, FOR HER "REFUAH SHLEMA"
"To the people of Sderot"
"Praying for your protection & safety"
"May God bless you and keep you safe!!" "Refuah Shlaima for Pesha Kayla Sara Bat Shaindel"
"Refuah shelaima for Chanah Freyda bas Nechama Gittel"
"Lzchus Ora bat Rivkah and Avraham ben Esther"
"In Honor of Prof. Paul Eidelberg"
"May Hashem bless and comfort you all with His peace!!" "In memory of Syne Grinsztajn Z"L and Jacy Grinsztajn Z"L."
"May G-d keep the citizens of Sderot safe and in good health." "We’re thinking of you and pray that HaShem will protect all the citizens ofoo. of"
"May HASHEM keep all Am Israel safe and well always." "May Hashem bless all of humanity with peace & healing. Shabbat Shalom"
"Ein od milvado! Am Yisrael chai"
"In memory of Paul David Oberman"
"Our thoughts and prayers are with the people if Sderot"
"To the people of Sderot: The Jews of Canada are praying for you. May G-d watch over and protect you!" "May all of you live in peace forever"
"Am Yisroel: we are all connected, altogether. Stay safe and may we all greet Moshiach in actuality, finally!" "May Hashem watch over all the people of Sderot"
"God bless you all, the people of Sderot, the soldiers of IDF and whole Israel! I pray for you and I love you!" "I live on disability, but we must support our brethren just as ourselves." "May the New Year bring you all joy and peace." "Shan Tova and GOD Bless." "IN MEMORY OF CHARLES GLASS"
"L'ilui nishmas Eliyahu ben Tzvi Hershel Gershon"
"Ein od milvado! Am Yisrael chai!" "I think you should send some balloons their way ..."
"May Hashem continue to watch over you and keep everyone safe and stop the bombings." 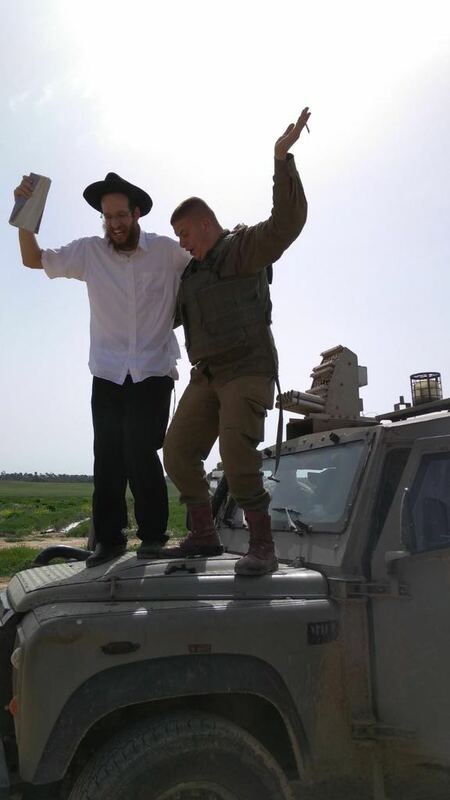 "For all our IDF soldiers protecting us day & night - yeasher koach!!!" "May the coming New Year bring permanent peace and tranquility to the people of Sderot!" "May Hashem be with you." Hillel ben Meir and the whole mishpacha! "Stay strong and thank you Chabad! We are on the front line the Rebbe's soldiers. Stay strong and keep the faith. Help is on the way!" "HASHEM SHOULD PROTECT AND BLESS ALL OF YOU IN SHDEROT AND IN ISRAEL. WE LOVE YOU OUR BROTHERS AND SISTERS IN THE HOLY LAND." "in honor of my late great dad Abraham Greiz"
"WISHING EVERYONE A HAPPY HEALTHY NEW YEAR IN PEACE AND PROSPERITY SINCERELY ELEANORE REZNIK"
"Am Israel Chai. Israel Akodesh baruch hu"
"MAY HASHEM BLESS YOU AND PROTECT YOU ALWAYS"
"May God bless you all,be safe." "May The King of Jacob protect the Land of Israel with harmony and peace. Amen." "L'zchus refuah shelaima Sarah Esther bas Blima and Rivka bas Chaya Baila"
"The Israel government should eliminate the threat." "l'refuah shleima Chaya Basya b-Raizel"
"Am Yisrael Chai. We are with you." "In honor of Hayden Abfier’s birthday"
"rabbi ari katz hatzlocha rabbah"
"Our hearts are with you. Moshiach now." "We are sending our prayers to you -Palm Desert"
"I somewhat understand what the people of Sderot are experiencing. I’ve been there two or three times and was actually taken to a shelter once. Am Israel Chai"
"In memory of my wife of blessed memory, Kamara." "May our Lord God bless you and protect you!!" "may G-d help Israel to succeed in all that they attempt, and smite their enemies." "in loving memory of Chava bas Yachet of blessed memory"
"May Hashem protect you/them all, and may the gov't finally see the light and stop the attacks, once and for all (time)." "Thank you Chabad, for always being there to help! Good Shabbos and Chodesh Tov everyone! Moshiach Now!" "Thank you for letting me do this mitzvah!!!" "Thank you for the opportunity to help our fellow Jews in a time of such great need." "My heart is with Sderot and the people during this time of trouble"
"There is no greater joy then to help our family in any way possible as we, the Jews of the diaspora, escape the horrors of day to day life in a war zone. A war zone because we believed exchange of the land would bring peace and a war zone because the peo"
"Hatzlacah in all your endeavors!" "Yasher Koach for everything you’re doing. We are with you all the way. Do not despair." "Wishing you Hashem's protection, strength and safety." "May your TSEDAKA be blessed to all in Sderot. B"H."
"Our wishes for the good health, safety and blessings for Kol Am Israel! Yardena and Andy Jacobs"
"May Hashem watch over our brothers and sisters in Israel and let no harm come to them! We are praying for you!" "Lzecher nishmas Yitzchak Yaakov Ben Avraham Chaim"
"Thank you for the opportunity to help other Jews in their time of need and to express our support for the Jewish State of Israel." "We stand with you, Sderot!!!" "in honor of yartzait Rebi Sheneerson today the 20thof av"
"L ilui neshmas Eliyahu ben Tzvi Hershel Gershon"
"With Love and Blessings to the people of Sderot.in our prayers." "In memory of Mendel Salper"
"We wish peace for the people of Sderot"
"May Hashem Bless Us with eternal peace." "In name Sara Rumizen for a speedy recovery"
"DIVINE PROTECTION IN EVERY CIRCUMSTANCE FOR ALL"
"Hashem bless Sedorot and Israel"
"Kol hakavod to our Sderot sisters and brothers"
"Stay Strong brothers and sisters"
"In honor of our children"
"May Hashem protect you from the murderers & avenge the blood of the murdered." "Our tefillos in the USA are with all of K’all Israel"
"In memory of Joseph & Rose Barkan and Gerald & Gertrude Rosenfeld"
"In Memory of Mrs. Miriam Rocoff"
"לעילוי נשמת שרה בת צבי הרש ‏תזכו למצוות"
"May Hashem protect all Israel from the terror their enemies are doing against them"
"וַיֹּ֤אמֶר יְהוָה֙ אֶל־אַבְרָ֔ם לֶךְ־לְךָ֛ מֵאַרְצְךָ֥ וּמִמּֽוֹלַדְתְּךָ֖ וּמִבֵּ֣ית אָבִ֑יךָ אֶל־הָאָ֖רֶץ אֲשֶׁ֥ר אַרְאֶֽךָּ׃ וְאֶֽעֶשְׂךָ֙ לְג֣וֹי גָּד֔וֹל וַאֲבָ֣רֶכְךָ֔ וַאֲגַדְּלָ֖ה שְׁמֶ֑ךָ וֶהְיֵ֖ה בְּרָכָֽה׃ וַאֲבָֽרֲכָה֙ מְבָ֣רְכֶ֔יךָ וּמְקַ"
"In memory of Steven Levine"
"Ingen loving memory of Isroel ben Moishe and Luba bat Pasha"
"In memory of Reuben Simcha Ben Hassia Gittle"
"YES! We ARE responsible for one another. Have courage, people of Sderot! ("
"May Hashem watch over and bless all of the amazing people of Sderot." "In honor of David ben Elena"
"We pray that Moshiach arrives immediately & Tisha B'Av becomes a day of rejoicing and feasting!" "Be brave and don't let fear harm you!" "keep up the amazing work and stay safe." "Thank you, chabad, for helping take care of our brothers and sisters in Sderot!" "Sending love, prayers, and hugs to you from the USA! You are doing a difficult, but important work! May you be rewarded richly for your perseverance! We love and support Israel! V and D"
"in memory of my beloved parents max and bertha kulick." "May the Kedusha of Eretz Ha Chodesh create a shield to block the attempts of the enemy to harm AM Yisrael. May Hashem provide for all the needs of the families of Sderot with great abundance and may peace reside in their midst now!May legions of angels pr"
"Thank you for giving us an opportunity to express our belief in the unity of our people and our love and gratitude to the people of Sderot"
"May Hashem watch over all of our family in Israel and keep them safe!" "Long Live our Master, our Teacher, our Rebbe King Messiah, Forever!" "May Chabad of Sderot be successful in all their endeavors!" "Speedy recovery to all in need; Comfort and safety to all in distress! Am Yisrael Chai!" "May Hashem bless and protect the residents and IDF soldiers in Sderot, and, bring peace to them." "I have been to Sderot...My heart and prayers go out to our Jewish brothers and sisters there on the front lines." "Israel MUST be defended !" "May Hashem's protection over the Jews, be for ever." "חזק ואמץ! ישועת ה' כהרף עין!" "In Memory of Wife Shirley"
"I wish the best for all Israel." "For healing for us all to be HaShems healthy klees. Amen"
"God Bless the Jews and God Bless Israel"
"For the safety of all Israel and for blessings to all Israel, Amen!" "In Memory of Menachem Mendel ben B"
"May Hashem protect you. May you go from strength to strength"
"Long Live Lubavitcher Rebbe King Moshiach Forever!" "Let us ALL Keep Praying"
"May Hashem spare us further suffering and bring peace." "In memory of Chaya Rissel bas Hillel." "In loving memory of Bessie Shiffman"
Refuah Sheleima for Rivka Mindel bas Raizel. Devorah Esther bas Miriam. Chaim Zvi Hersh Ben Gutal. Aharon Ben Chana. "Thank you for taking care of the Jews in Sderot!" "We are all with you." "thank u Chabad for helping Sderot, good health good luck, safety and shalom"
"Be' Hatzlacha Be' Siata Da'Shmaya"
"Health and safety for klal Yisroel bh"
"BS"D May Hashem and Protect Kal Benai Israel. In honor of Miriam Zlotolow's Birthday. May she have many more healthy , happy years." "May HASHEM bless and protect the residents of Sderot and kol Am Israel. Amen"
"Thank you, Chabad, for doing the important work you do"
"for refua shleima of Alexander Shlomo ben Chana"
"REFUAH SHELEIMA 4 Chaim Zvi Hersh ben Gutal Aharon ben Chana"
"BS"D May hashem Bless you and keep you Safe." 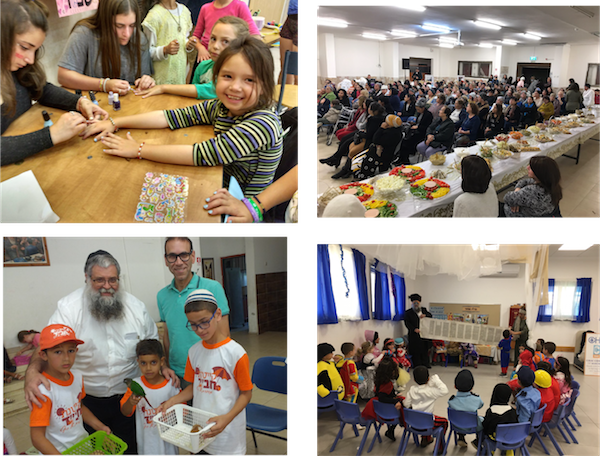 "Thank you, Chabad of Sderot for all the good you do and for the essential help you provide others." "Dedication for a refuah shlayma for Yirachmeal yakov ben nechama and Eliyahu ben Sylvia." "Thank you for organizing help for the needy. Sj.Sch." "In memory of Isidore and Esther Fine"
"תזכו למצוות ובזכות שאתם מטפלים באחיכם שהקב"ה ישמור עליכם ועל כל בני ישראל אמן"
"May Adonai Bless you, protect and care for you. Our hearts and prayers are with you." "Refuah Sheleima: Yisroel Yehuda b-n Chana Dror Penuel b-n Tova"
"It will become better, best wishes"
"In memory of Joe Bank...a mensch !" "In memory of my mother Sarah Ruth Salper bat Shmuel and Ida"
"Dedicated to the Memory of Bernice & Harry Apisdorf"
"In honor of my mother Meri"
"B'zichut avot shel Shoshana Rut bat Chaim Yitzchak v'Chava Ettel"
"Dedicated to Abraham and Sarah Felber"
"In memory of Rabbi Yosef Lasdun, z'l"
"Hashem should protect our brave Israeli soldiers!" "We are praying for your safety. Thank you." "Our thoughts and prayers are with our brothers and sisters in Sedorot." "Long Live the Rebbe Melech HaMoshiach, Forever!" 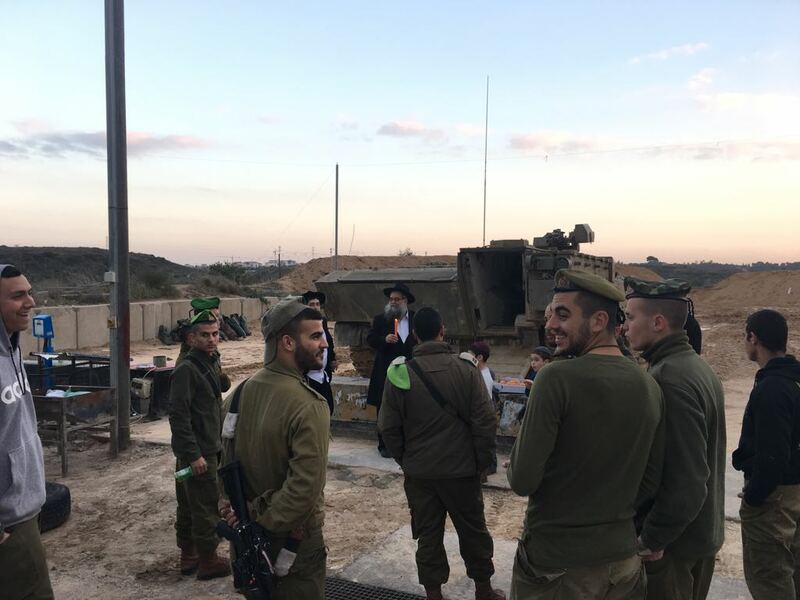 "Praise the G'd of Israel"
"PEACE FOR AM YISRAEL ....OUR HOLY LAND ....WITH HASHEMS HELP .....IN OUR LIFETIME"
"we would like to support the brave souls of S'derot who are on the front lines of defending the state." "We love deep our people"
"In memory of my Bubbies, Zaidys and Uncles and Aunts"
"Am Yisrael chai! Ein od milvado!" "May Ha-Shem help us and our enemies be destroyed." "IN HONOUR OF MY FATHER, DR HARRY DICKMAN CHEIFETZ"
"Dedicated to all who must live in fear at this time." "I'm not a wealthy Jew, but I am proud of my people and culture. I wish I could give more, but this is what I can do, for G-d, for the people of Sderot and for Am Israel."